New: Use Movie Connect to keep track of loaned movies! You can now loan movies in Movie Connect: just find and select a movie (or select multiple with the Select tool), and click the “Loan” button at the top! 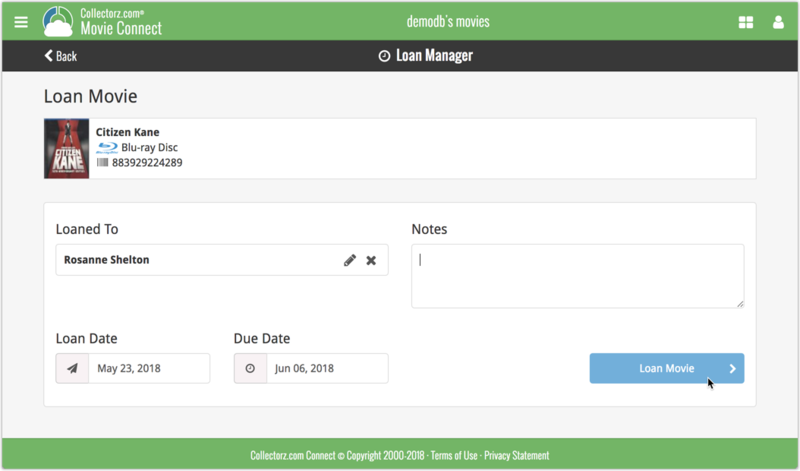 Click the menu top left, and then Loan Manager to access the new Loan Manager where you can see all your loaned out items, and directly return them. Alternatively you can also use CLZ Barry to scan a barcode of a movie, find it in your outstanding loans, and return it. Loan movies by selecting a couple in your list, or by viewing the details of a movie, and then click “Loan” at the top. 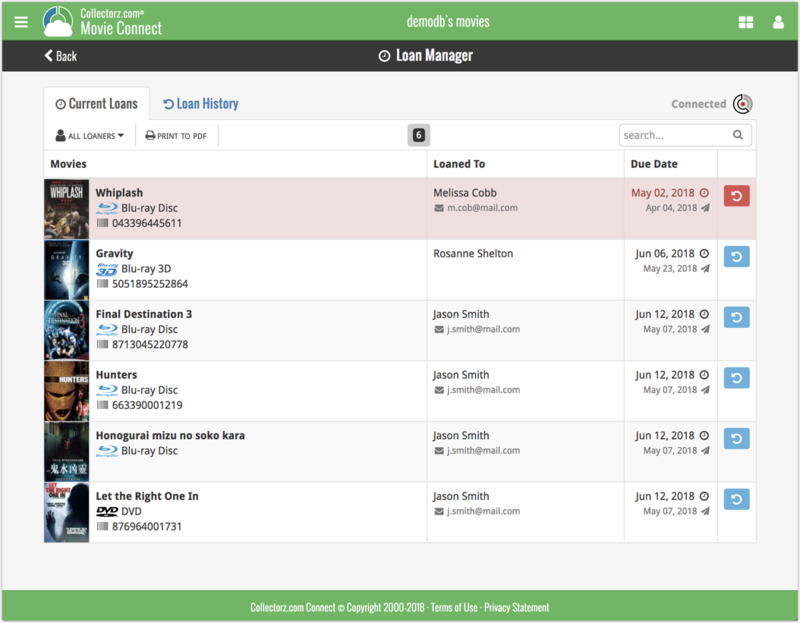 Return movies straight from the loan manager or by scanning their barcodes with CLZ Barry. We will be adding the syncing of loan information to Movie Collector for Windows and macOS, and CLZ Movies for iOS and Android.